In medium bowl, stir soymilk, salad dressing, marmalade, mustard, seasoned salt and pepper until well blended; set aside. 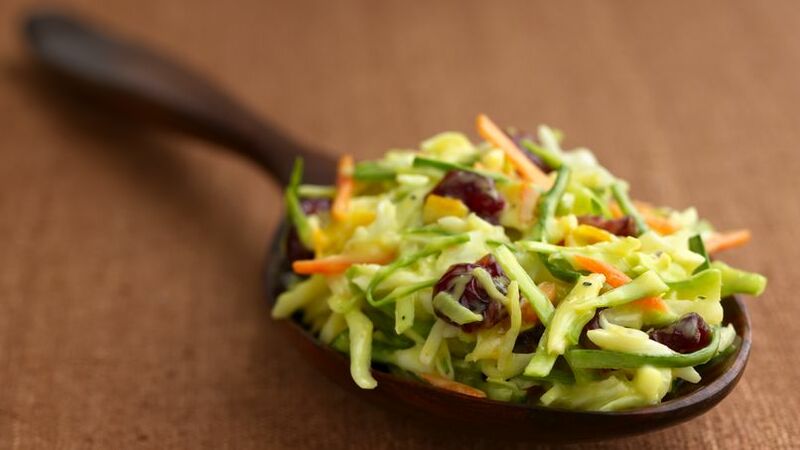 In large bowl, mix coleslaw mix and cranberries; toss with dressing. Cover and refrigerate any leftovers.